Are you intrigued with the geometric shape of the triangle diamond shape? It's not only unique, it's also architecturally reminiscent and kind of artistic. 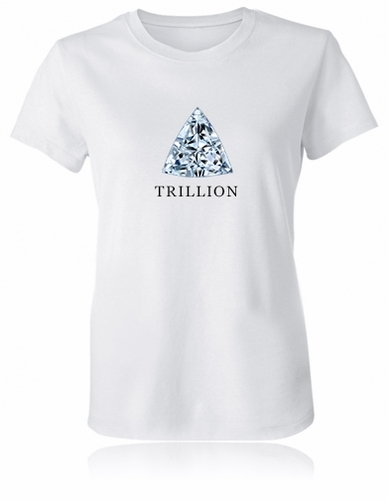 You can now wear a stylish Trillion Diamond Shape T-Shirt by Ziamond and really show off your very own Trillion. 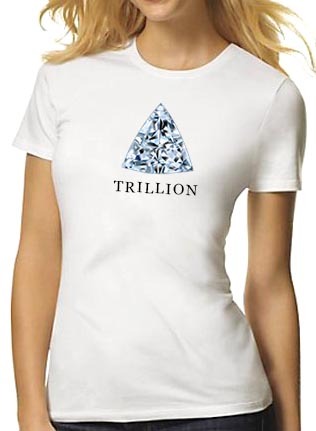 Also known as triangle diamonds, trillions really changed the landscape of what was known as accent stones. They also allowed jewelers and designers to add a new dimension of creativity to jewelry designs. Trillion diamond owners tend to have some similar personality traits like modernism, creativity, bold, focused and multitasking. 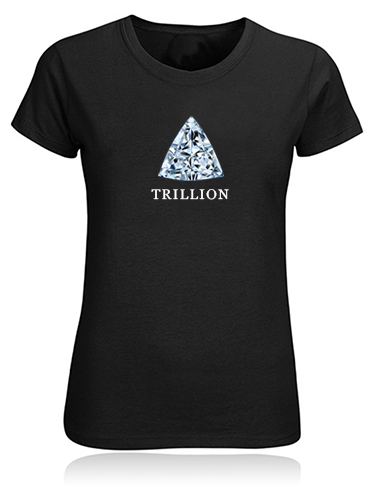 Every trillion cut diamond image is a high resolution picture printed with the most up to date apparel printing methods on super soft 100% cotton fitted ladies shirts. 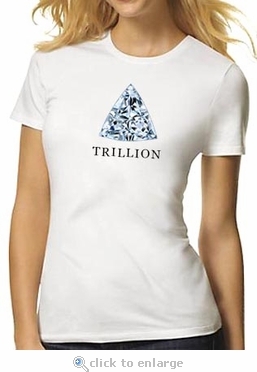 These Trillion Cut Diamond Shape T-Shirts come in sizes small, medium, large, extra large and extra extra large. Available in white or black color shirts, but if you are looking for a custom color not shown, let us know and we look into it for you.